Earlier this month, P&G released an ad to promote its brand, Gillette, which has used the slogan “the best a man can get” for several years in its advertising. The first ad in the campaign, a short video posted to YouTube, encourages men to shave their “toxic masculinity” and sparked controversy in just a few days. While Gillette’s place in the discussion may feel new, the ad isn’t all that different in-kind. Although no celebrities have explicitly aligned with the campaign (yet), it’s reminiscent of those we saw from Nike with Colin Kaepernick and Pepsi with Kendall Jenner last year. In the past, CEB, now Gartner has termed campaigns that hinge on the values that companies and consumers share “Shared Values Campaigns”. And in these types of campaigns, the controversy is often the point. It gets consumers talking about the brand organically. So, it’s been a few weeks. We’ve heard arguments on each side of the debate. As the uproar dies down, what comes next? Marketing leaders measure the success of Shared Values Campaigns, in part, based on how well they strike a balance between capturing consumer interest and avoiding unnecessary risk by, for example, coming across as inauthentic. Rather than prompting consumers to ask “Is this company really invested in this topic?”, Shared Values campaigns should get us asking other questions. Is “toxic masculinity” really a thing? What is “the best a man can get”? Is the ad encouraging or insulting? Once initially released content is determined successful, leading brands… well, they ask for more. For this reason, as my colleague Chris Ross points out in his blog last week, we can all brace ourselves for “wokewashing” during the Superbowl this weekend. Leading brands who are conducting Shared Values Campaigns take the following steps, and can use the following technologies, to prolong the discussion and get greater returns. Execute the “plan for push back”: If you’ve designed a Shared Values campaign well, you’re anticipating negative consumer reactions. Plan what types of comments your brand will respond to, how your brand will respond and which comments your brand will ignore. There’s no technology secret here. This is just an essential discussion to have with your staff. Use paid media to augment earned channels: Earned media is great, but you can use paid media in tandem with earned media to increase reach and impact. Build a database of legally, pre-cleared visual and audio content. DAMs, or a Data Asset Management systems, can be helpful for organizing your content and making your digital assets ready for release. Wait for the debate to die down… and then re-spark it: In addition to conducting sentiment analysis, organizations should monitor overall engagement in the debate. When the conversation begins to die down, extend the conversation by amplifying new voices or putting out new content. 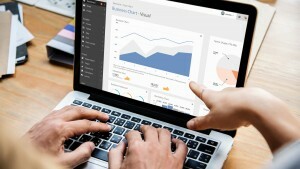 Marketing dashboard technologies or other data visualization tools can help identify the peaks, valleys and prime time to re-engage audiences.